05 April 2019 (Toronto, ON) - Bridges To Bremen was announced today by The Rolling Stonesfor release on June 21. Presented by Eagle Vision/Universal Music Canada, the country’s leading music company, the previously unreleased concert film has been completely restored, remixed and remastered and will be available on DVD, Blu-ray, digital, DVD + 2CD, Blu-ray + 2CD, triple vinyl and digital audio. Opening with “Satisfaction”, a snake-hipped Jagger, sporting a bright yellow shirt & scarf, is a streak of canary-coloured lightning, while Keith prowls the stage in a tiger print duster coat. Lisa Fisher accompanies Jagger on vocals for a storming version of “Gimme Shelter”, and Bridgessingle “Saint of Me” receives a rousing welcome. 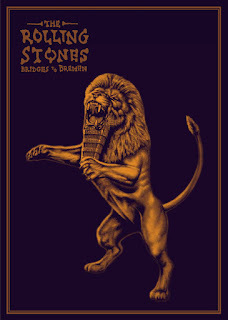 By Stones standards, Bremen was an intimate show, a 40,000 fan-strong hot ticket, for which the band enthusiastically kicked out 155 minutes of unadulterated rock ‘n’ roll. The release of Bridges To Bremen comes at a busy time for the band - Honk, a brand-new Best Of compilation featuring 36 essential Stones tracks from 1971 to 2016’s Blue & Lonesome (with the deluxe also featuring 10 live tracks recorded at stadiums around the world) will be released on April 19 by Polydor/Universal Music Canada.